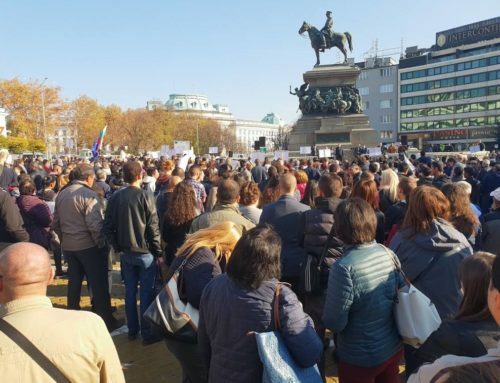 Christians across Bulgaria continue to take to the streets of towns and cities in a series of peaceful protests and united prayer rallies. This follows the Bulgarian government’s draft amendments to the Religious Denominations Act 2002 that threaten the freedom of Christians, local church activities, training of church leaders, funding and support from outside of Bulgaria. The proposed legislative changes were presented to the Bulgarian parliament on 4th October 2018 and are due to be considered again at a Second Reading. Bulgarian Church leaders also urged fellow-Christians from across Europe, and beyond, to pray that God would overturn these proposed changes to the law and to raise awareness by writing to their MEPs (see below), Ambassadors and Bulgarian government officials. The new law directly affects the work of Transform Europe Network and its partners in Bulgaria and therefore TEN urges UK Christians to write to their regional MEPs, along the lines shown below. I am writing to express my deep concern for fellow Christians in Bulgaria. As you may be aware, on 4th October 2018, the Bulgarian government introduced draft amendments to the Religious Denominations Act. If it becomes law it will have a major impact on all religious denominations, other than Eastern Orthodox Christianity and Islam. As a Christian and long-term supporter of Christian churches in Bulgaria, I object to the changes being proposed without reasonable consultation with national representatives of Christian denominations. Many of the smaller churches rely on funding from abroad to meet the needs of poor communities, refugees and the Roma people. 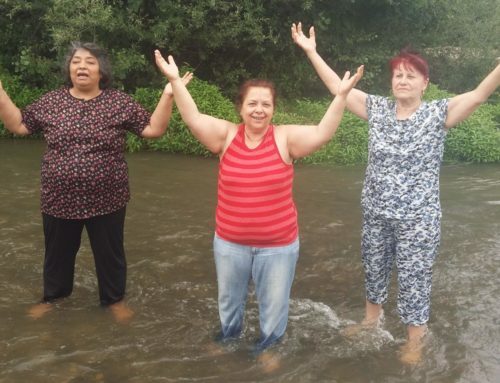 Churches across the UK have a long tradition of training and supporting clergy/church leaders in Bulgaria, whether as foreign nationals or indigenous citizens. For many decades, UK Christian denominations and mission agencies have raised vital funds, supported, visited and been invited to preach in Bulgarian churches. Bulgarian citizens will be able to carry out liturgical activity only if they have had theological training in Bulgaria or their foreign school is approved. Only Eastern Orthodox and Muslim believers will be able to train clergy and run schools. A foreigner, even from another EU state, will only be able to preach if doing so with a Bulgarian ordained minister. Foreign donations will only be allowed for building construction or social aid and will need government approval. No salaries of pastors, for example, could be paid from abroad. No religious activities can take place outside of buildings designated for them. Only religious groups with more than 3,000 people will have legal status. This legislation would transfer huge and unnecessary powers to the Bulgarian State resulting in unacceptable control to of all faith communities. No faith community in Bulgaria supports these proposals. I ask that you use your influence to encourage dialogue between the Bulgarian government and church leader representatives. I urge that you persuade Bulgaria, as an EU member state, to protect the rights and freedoms of religious communities to carry out their work openly and lawfully. Thank you for your representations.